Is your growing family in need of a more spacious and versatile full-size SUV? Well, the leader of the 8-passenger full-size, extended-length SUVs is back and even better, in the form of the 2018 Chevrolet Suburban. This versatile vehicle isn't just a family hauler; it also provides up to 121.1 cubic feet of cargo capacity, or enough to transport more than your fair share of kids sports equipment or road trip gear. 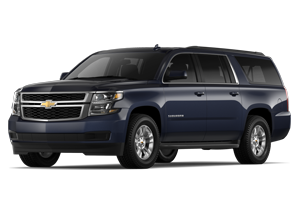 Learn more about the 2018 Chevrolet Suburban here on the All Star Chevrolet North website, then visit us near Baker and Central, LA for a test drive at our Baton Rouge dealership. The 2018 Suburban is propelled by Chevrolet's 5.3-liter EcoTec3 V8 engine, producing a powerful 355 horses and 383 lb-ft of torque. You may have expected that a vehicle this powerful and spacious would be a real gas hog, but thanks to efficiency technologies like Direct Injection, Variable Valve Timing, and Active Fuel Management, the 5.3-liter V8-powered Suburban achieves impressive highway fuel economy for a full-size SUV. Most Suburban drivers do at least the occasional towing, and the 2018 Suburban can sure tow -- up to 8,300 pounds worth! The 2018 Chevrolet Suburban is offered in three trim levels that can be further tailored to the needs and preferences of your family. For starters, even the 2018 Suburban LS base model comes with standard amenities like seating for up to eight, fold-flat second- and third-row seating, MyLink with an 8-inch color touchscreen and rear vision camera, remote vehicle start and tri-zone automatic climate control. Upgrade to another 2018 Suburban trim level and you will find available amenities like a power liftgate, leather seating, heated and cooled front seats, a premium audio system and OnStar 4G LTE Wi-Fi. Between its available Wi-Fi hotspot and up to 14 charging points, the 2018 Suburban is as close to a rolling office or entertainment center as you are likely to find! 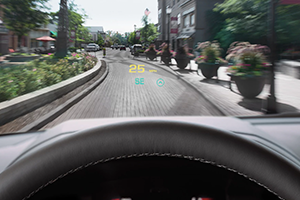 Chevrolet's advanced driver assist and active safety features are also offered on the 2018 Suburban, including smart features like Lane Keep Assist, Rear Cross Traffic Alert and Front Park Assist. The Suburban protects occupants from all angles, with further safety features including Rear Park Assist, a Rear Vision Camera, Side Blind Zone Alert and even a Low-Speed Forward Automatic Braking system. 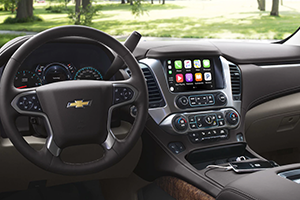 Another innovative feature from Chevrolet is the Suburban's available Safety Alert Seat, which can be programmed to deliver driver seat vibrations instead of audible alerts for systems like the Side Blind Zone Alert and Rear Cross Traffic Alert. When it is time for your family to step up to a spacious new full-size SUV, there is only one vehicle you need to remember: the 2018 Chevrolet Suburban. All Star Chevrolet North proudly serves drivers near Baker and Central, LA with new Chevrolet and used car sales and financing, plus genuine GM parts and high-quality auto service. 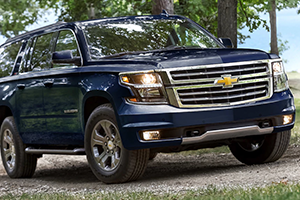 Visit us at your convenience to test drive and tour your family's new Chevrolet, like the versatile 2018 Suburban.